I (Cherry) obtained a sample of RMK Skin Turner Treatment Moist. Let me share with you my personal review of this product. 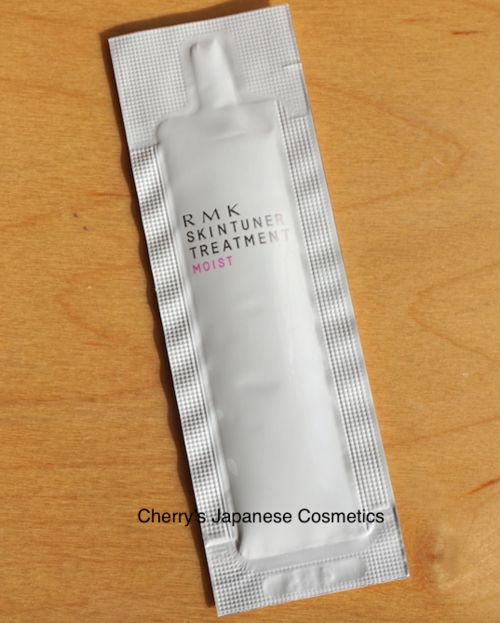 RMK Skin Tuner Treatment Moist is a lotion/ toner, for anti-aging. When I opened the sample, I found this is quite unique perfume — According to RMK, they are using essential oil of lavender and ginger. I loved this scent, especially spicy ginger. I applied on my face, and I found one problem. It moisturized my skin well. Generally it is ok, but I got sting on the edge of my eyelids. It gone quickly, but this is not fun. I just remind myself that I had sting by peppermint oils.